At The Beauty Rooms our Chemical Peels are carried out by our highly skilled and trained skincare specialists. These advanced skincare treatments are perfect for treating more serious skin concerns and a free consultation will allow your skincare specialist to prescribe the treatment most suitable for your skin. Our Chemical Peels use high levels of chemical AHA and BHA exfoliators which help to reverse the visible effects of damage in two ways. First, they power away dull, dead cells to illuminate the skin and reduce the appearance of fine lines, wrinkles, age spots, clogged pores and blemishes. Then, they support collagen for firmer-looking skin over time. A one-off Chemical Peel will give amazing results but to achieve the maximum results from your Chemical Peel we recommend a course of 4-6 treatments every 2-4 weeks. The skin needs to be prepped 2 weeks before a Chemical Peel can be carried out, with at least one product containing Glycolic Acid and a physical SPF moisturiser to protect against UV rays. Your skin care specialist will advise on this during consultation. Ideal for pigmented skin, photodamage, sun/dark spots and ageing. This results driven treatment combines the most innovative & effective botanical brighteners to reduce pigmentation & leave your skin instantly younger, brighter & luminous. This peel consists of a blend of the AHA exfoliator Lactic Acid, pigment suppressor Kojic Acid, as well as polypeptides & camomile. The Lactic acid allows greater exfoliation resulting in deeper penetration of the highly effective kojic acid. This will result in faster reduction of pigmentation and even melanin distribution. Ideal for acne, oily, congested, rough and blemished skin. Being prone to an acne skin type or condition can often become upsetting & tiring constantly trying to battle with & maintain skin which is constantly breaking out in spots. Our acne peel offers you an answer to this without drying out the skin. A potent blend of alpha & beta hydroxyl acids combined with plant derived stem cells reduce blemishes, redness & diminishes post breakout scarring. Other highly effective ingredients detoxify & purify the skin while treating and healing breakout activity. Ideal for pigmentation, sun damage and ageing. This lightening treatment fights back against uneven complexions. Combining the most innovative and effective botanical brighteners with Echinacea plant derived stem cells and anti-ageing peptides to reduce sun damage, pigmentation and brown spots. Skin is left brighter, luminous and younger looking. Ideal for fine lines, wrinkles, photo ageing and scarring. This is our ultimate anti-ageing Chemical Peel which treats even the most stubborn signs of ageing. Formulated with a stronger blend of the anti-ageing ingredients Glycolic Acid and Retinol, plus natural botanical lighteners. It exfoliates, repairs and rejuvenates the skin. Contact The Beauty Rooms for more information on Chemical Peels and Microdermabrasion. Ideal for lines and wrinkles, uneven pigmentation and breakouts. 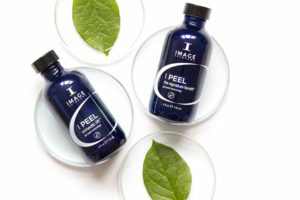 In this express 30-minute treatment, your skincare specialist will create a customised Chemical Peel to instantly rejuvenate and refresh your skin. With a unique system of different acids for deep exfoliation personalised to you. All the benefits of our Pro Power Peel 30 with additional advanced techniques. The Chemical Peel results are dramatically enhanced by a supplementary deep treatment process incorporating powerful serums, a customised mask and a relaxing massage to ensure your skin is left clear, smooth and glowing. All Chemical Peels are available at a discounted price when booked as a course. Each course includes a free post-treatment home care kit. Skin peeling within 2-7 days post-treatment is likely. 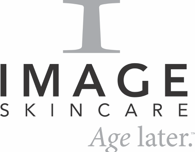 The use of IMAGE skincare Post Peel, is essential to help soothe, heal & protect the skin. Due to the high levels of exfoliation your skin will be slightly more sensitive to the sun, therefore it is compulsory to use a physical (zinc oxide/titanium dioxide) SPF. Cosmetic SPF’s do not offer enough protection. Your skin specialist will advise on a suitable home care regime to enhance the results of your treatment. Contact The Beauty Rooms for more information on Chemical Peels in Chelmsford.